Fleece Vest from Shires Equestrian. Rubbing on the shoulders or mane can be caused by wearing rugs all day, everyday. This fleece vest helps to eliminate this problem by providing a barrier between the rug and the horse. Also useful in providing extra warmth. With extra padding at the wither and satin lined breast area. 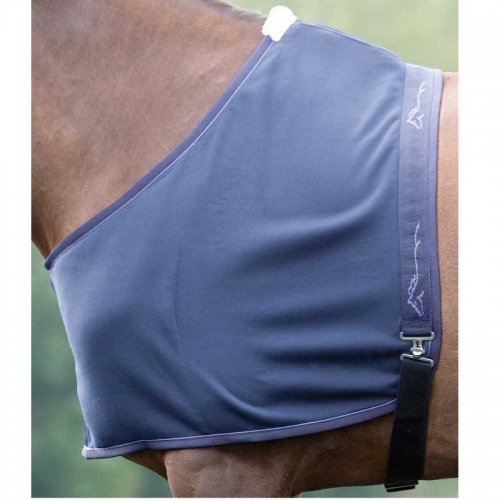 Fits over the head and is held in place with an adjustable surcingle around the girth. Navy only. Available in small, medium, large and extra large.